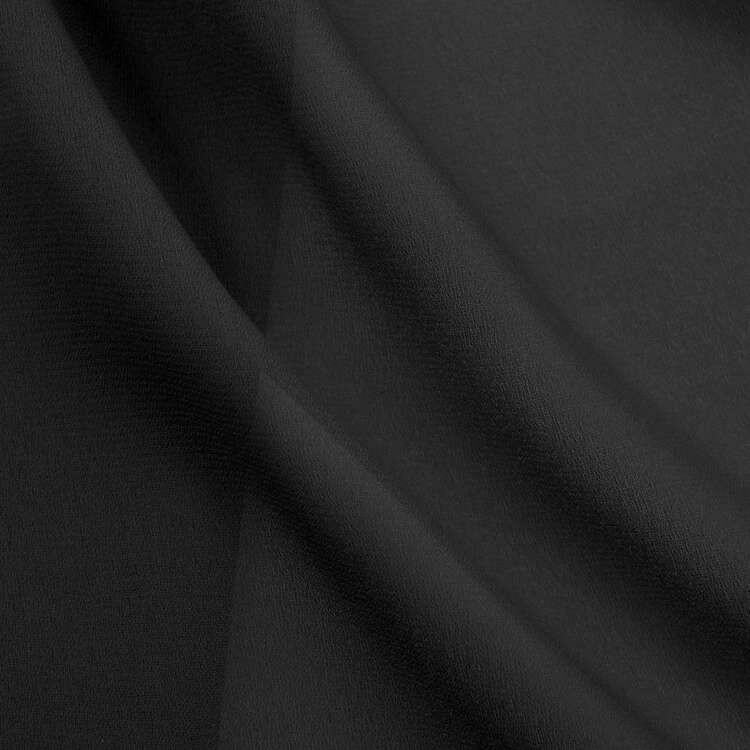 Georgette fabric is a sheer, lightweight apparel fabric with a crinkly texture that can be used for blouses, dresses, scarves, and other flowy, sheer garments. Georgette, named after the dressmaker Georgette de la Plante, is similar to chiffon fabric but it’s a little heavier, more durable, and not as lustrous. It has a dull crepe finish and drapes beautifully. Originally made of silk, Georgette fabric now can be found in nylon, satin, polyester, and other varieties. Due to the sheer, lightweight characteristics of Georgette fabric, its often used for breathable, lightweight apparel and accessories. Common products made from Georgette include formal dresses, scarves, veils, nightgowns, dance garments, and blouse linings. It is also used for light diffusion on lampshades and professional photography setups. Both Georgette and Chiffon are quite often used to make the Indian dress known as a Sari (or Saree). The uses for Chiffon and Georgette have a lot of overlap because they’re so similar, be sure to keep in mind the differences between the two fabrics. Chiffon fabric is softer, thinner, and more lustrous. Georgette is a bit heavier and more durable, has a crinkly texture due to the highly twisted threads, and is less see-through than Chiffon. Both are relatively lightweight fabrics that drape beautifully. When washing Georgette, it’s best to hand wash the fabric with a mild detergent. Air drying is recommended, but make sure not to leave it out in the sun for a long period of time, or else the color may fade. Use caution when cutting Georgette fabric as it is likely to be slippery. You may want to use a layer of muslin, newsprint, or tissue paper underneath the fabric to help prevent slippage. Click here to learn about interfacing for sheer fabrics. When sewing, use a fine needle and short stitch length. Click here to learn more about sewing sheer fabrics. Does printed georgette fabric show thru on wrong side? BEST ANSWER: Yes, you would be able to see the pattern at least a little on the other side because of the sheerness, but it probably wouldn't bleed through all the way. What Type of thread and needle to use for sunbrella vinyl mesh? BEST ANSWER: Nylon upholstery thread would work well. Size 18 needles are recommended, though size 16 also works. Which lining is used for sheer fabric like chiffon and georgette?